3 Band Vintage Stereo Equalizer. 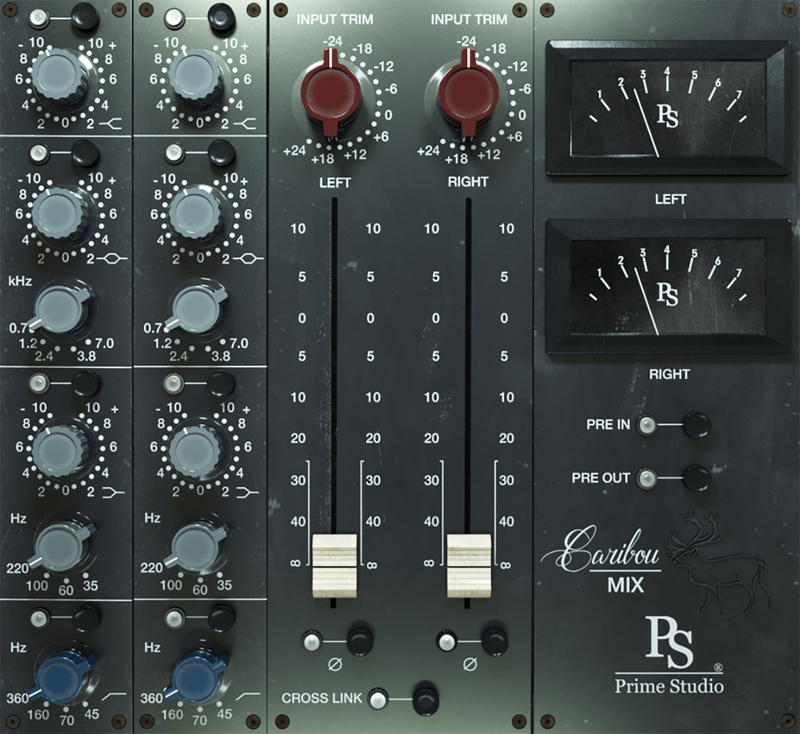 Prime Studio Caribou Mix offers the character of a rare vintage three band stereo equalizer with low cut filter and phase reverse. In addition to the equalizer function, the channel faders and the preamps can also be colored in different ways.